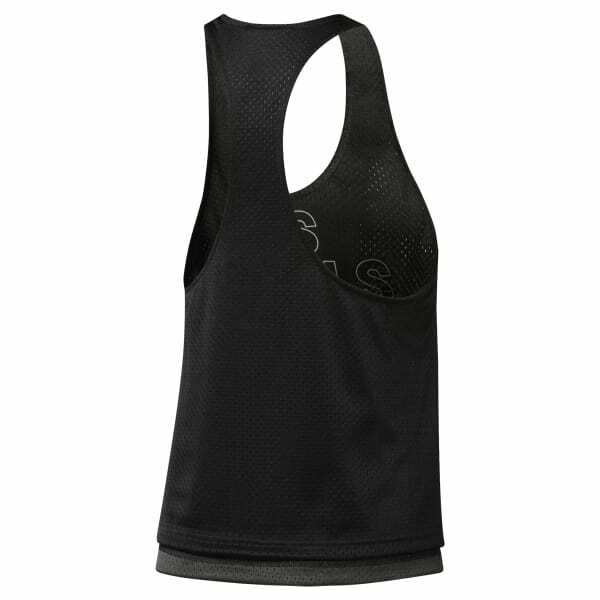 Lift, stretch and get your heart racing in this women's tank top. The sleeveless design helps make arm workouts a breeze while the all over mesh engineering provides breathability through every LES MILLS™ studio move. Reversible mesh gives you two looks in one.